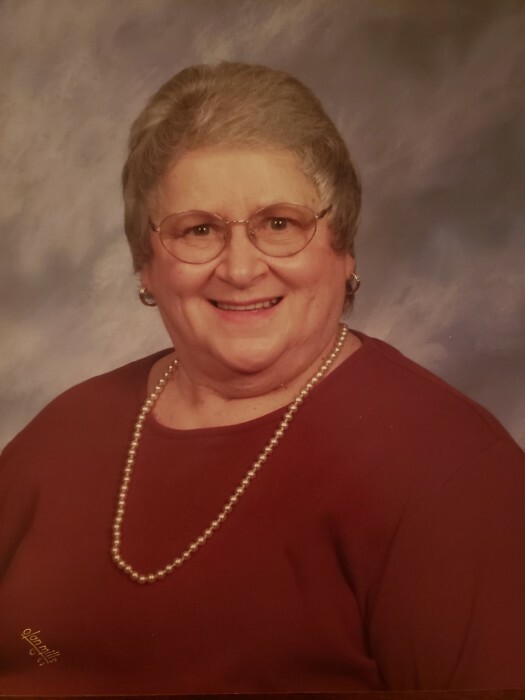 Mary Rabold Oldham of Dayton, OH and formerly of Altoona,PA, Saugherties, NY, and West Carrollton, OH passed away January 30th, 2019. Mary Margaret was born in Altoona to Charles and Thelma Rabold. She was a 1957 graduate of Altoona Area High School. She was preceded in death by her parents, her husband Donald Oldham, and her sister in laws Jane and Marcia Rabold. Mary is survived by her son Joe Oldham and wife Sheri of Beavercreek, OH, daughter Sheri Page and husband Justin of Boiling Springs, PA, grandchildren Trent and Sarah Oldham, Chloe and Colby Page, Taylor Bigler and husband Nathaniel, and great grandchildren Mazzlynn and Sebastian Bigler. Also surviving are her brothers Raymond and Charlie Rabold, sisters Thelma Anthony, Jackie (Donald) Grove, and Susan (Samuel) Wachter and many, many nieces and nephews and their children. You may remember Mary from Memorial United Methodist Church, East End United Methodist Church, and other churches where she spent years praising the Lord by playing the piano and organ. A Gathering of Family & Friends will be held from 4:00 p.m. to 6:00 p.m. on Thursday, February 7, 2019 at the Memorial United Methodist Church, 26 Locust St., West Carrollton. Mary will be celebrated Saturday, February 9th at East End United Methodist Church in Altoona, PA. Visitation is from 10am to 12pm with services at noon. After 35 years, she will be laid to rest beside her beloved Don in Alto Reste Cemetery. Arrangements entrusted to the Swart Funeral Home, West Carrollton. www.swartfuneralhome.com.